On Valentine’s Day, the last thing you want to do is get stuck in a Netflix, so why not get set for a quixotic experience at JW Marriott Hotel Bengaluru. This special day, take your loved one to a cherished Valentine carnival at city’s finest luxury hotel. Select your preferred cuisine and restaurant to enjoy some of the signature cuisines for the day. Sounds perfect, isn’t? # At JW Kitchen, relish some spendthrift dishes like Oyster Rockefeller, Lobster Thermidor Tart, and Fondue Station with Wine Poached Seafood, Chocolate Coated Strawberries, Tiramisu, Strawberry Lemon Curd Trifle, # Crème Brûlée and many more. 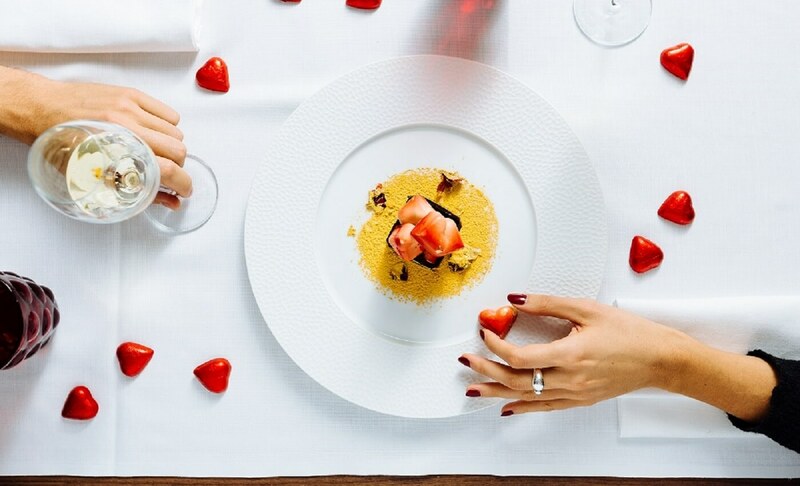 # Italian Food is all about love and on this exceptional day pamper in Chef Eliya’s signature plates like Flavoured Lobster, Spinach Tortellini, Strawberry & Ti Amo Risotto, Red Velvet Lamb, and Love Cheesecake with Exotic Berries at the award-winning restaurant ALBA. # Party the special event at the poolside microbrewery and open-air eatery, Spice Terrace, with exclusive Indian cuisines like Charred Kadhai Pineapple, Masala Boursin and Spiced Chocolate, Nashila Dhungar Laal Maas, Gulab Kesar, and Lime Sorbet. # Enhance added vigour to your feast with 6 particularly blended cocktails at INR 1999 per guest and a bottle of champagne at INR 8000. Absolutely lip-smacking! Book your tables soon.